Divorce is more than the separation of two spouses. It also means dividing up one household into two. Everything from the house and bank accounts to who keeps the family dog must be worked out in the process and certified by the court. The court has wide discretion on making property division decisions, so careful preparation and presentation is always important. Nevada is a community property state. This means that each spouse has a 50% interest in the marital property. Community property is any property obtained during the marriage. On the other hand, non-community property is property owned prior to the marriage, or items acquired by one spouse after the marriage that are defined as gifts, bequests, inheritances or damages won in a personal injury lawsuit. In most cases, community property in divorce will be divided equally between the partners. Determining values, deciding what items go with whom and assuring an equitable treatment for the divorcing individual in the divorce property division process is a complex process and should be done with the help of a good divorce attorney. An important step in property division is valuation of the assets or property. Valuation can be subjective and for substantial assets, such as a home or a family business, professional valuation experts may be called in to provide an estimate of market value. Business valuation involves complex factors such as revenue fluctuations, costs and expenses, goodwill and more. Homes – homes may have appreciated in value during the marriage and that difference will be divided in half. 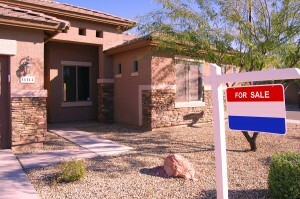 In many cases, the home must be sold in order to liquidate and split the value. Vehicles – are subject to valuation by the court or may be sold outright. Often in divorce, assets and property may be missed or undervalued because no one took the time to investigate what could be overlooked or hidden assets. A good property division attorney will investigate spousal financial records, credit reports and spending habits. They will evaluate the meaning and impact of business records, bank records, tax returns, mortgages and second mortgages and search for retirement and other hidden accounts. It is important to evaluate debt, pensions and other financial activities to be sure that the entire financial picture is clear before final property divisions are made. If you are facing property division in divorce, you will need an attorney with wide experience in divorce-related property valuation who can help you obtain your fair share of assets in the divorce settlement. Call the Page Law Office today for a free consultation to help with your property division.